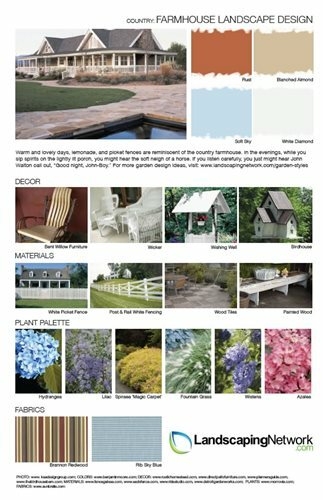 Use these design sheets to get ideas for landscaping your property. 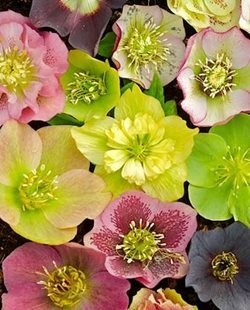 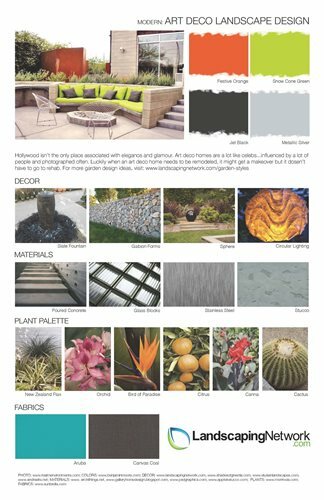 Each sheet focuses on a particular landscape style and provides a color palette, décor suggestions, a list of materials, plant suggestions and outdoor fabrics. Choose your favorite garden style and take the design sheet to a professional landscaper to give them an idea of what you are looking for. 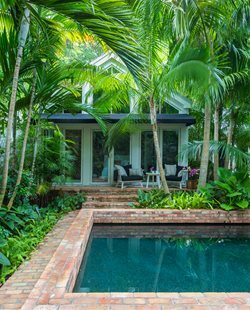 They will be able to expand on what is shown and make sure that it is appropriate to your region and the architecture of your home. 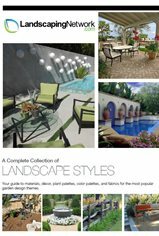 Learn about Mediterranean landscape design, and get ideas from the following four design sheets inspired by this casual and elegant style. 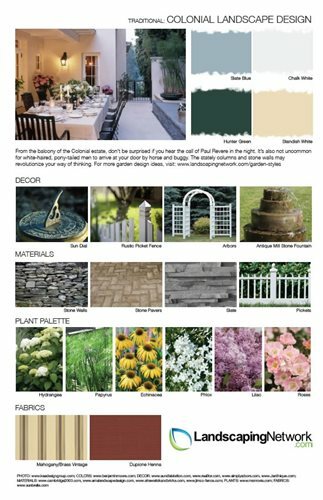 Learn about country landscape design and download the following four design sheets illustrating this quaint and charming style. 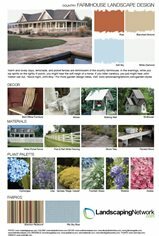 Read about traditional landscape design and view the hallmarks of this design style in the following five style sheets. 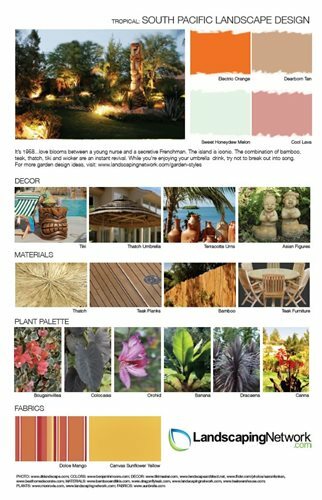 Read about the relaxed vibe of tropical landscape design as illustrated in the following three downloadable style sheets. 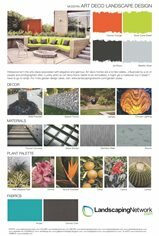 Learn more about the bold geometry and retro styles of modern landscape design, and download one of the following three style sheets for design ideas. 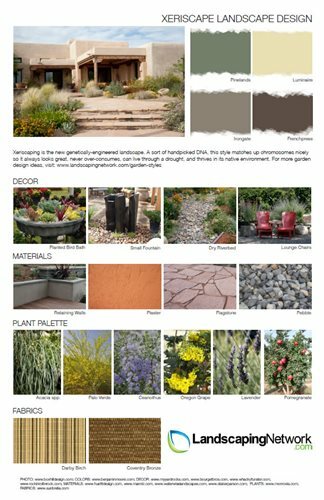 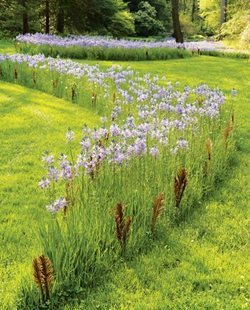 Read about the eco-conscious practices and solutions of sustainable landscape design, and download the following design sheet for ideas. 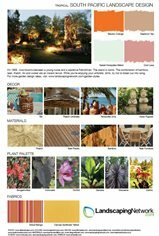 Download and print all 21 landscape styles featured on this page. 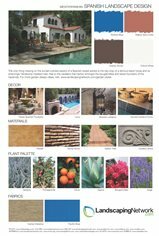 The collection is divided into five themes: Mediterranean, Traditional, Tropical, Country and Modern. 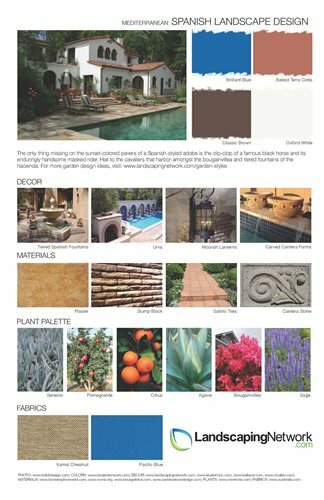 Homeowners can use this guide to easily compare materials, décor, plant palettes, color palettes, and fabrics from differing styles. 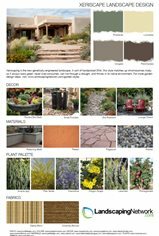 While, landscapers can use it as a starting point to help determine their clients' tastes.